Peaches and cream are a celestial pairing, and make sublime garnishes to the almond pound cake featured here. The cream in this particular duo is extra special, enhanced by the addition of some mascarpone cheese, while juicy summer peaches are simply peeled and sliced. For my latest version of this all-American classic, I baked these shortcakes with a hearty amount of cream instead of butter or shortening for a rich taste, and used cake rather than all-purpose flour to make the texture extra tender. Orange zest lends a fresh citrus accent to these little cakes, and orange juice is used to season the berries. 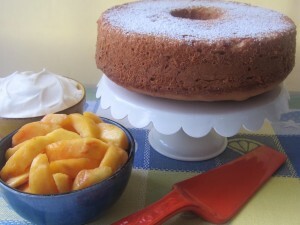 The whipped cream topping is also scented with a hint of grated orange peel. 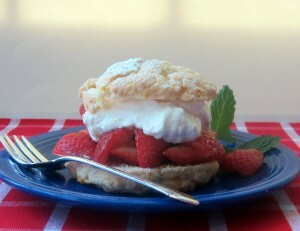 The shortcakes, the berries, and the cream can all be prepared several hours ahead, so that all you need to do at serving time is to assemble these scrumptious summer confections. This beautiful orange-hued soup with its sweet and slightly tart accents would be great to serve for Thanksgiving. Offer it as a starter served in shallow bowls at the table or in mugs for sipping standing up. 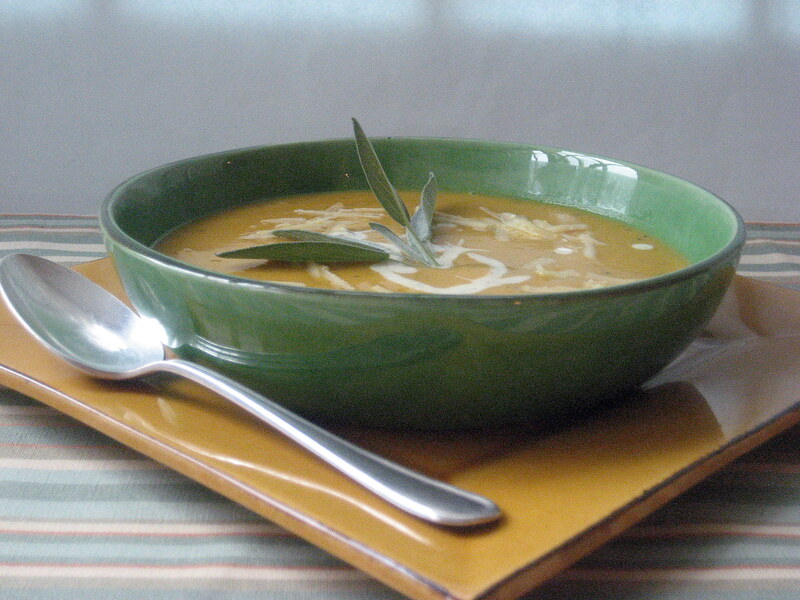 It’s also a perfect potage to have on hand for post-Thanksgiving meals. Try it with a turkey sandwich or with a green salad garnished with nuts and dried cranberries.